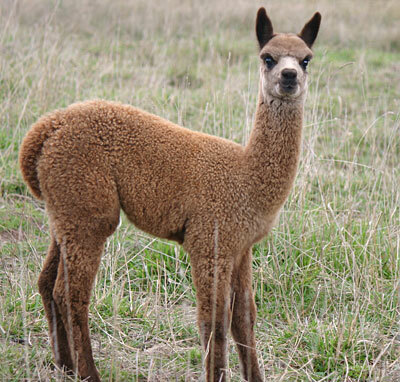 Qozqo (pronounced Koz-Ko) is a world class Alpaca stud situated in the Southern Tablelands just south of the Australian Capital Territory, specialising in breeding fine, dense, coloured huacayas and suris. Use of carefully selected superior genetics has produced animals with fine, soft, white, cream, apricot, light fawn and grey fleeces with beautiful handle and lustre. Val and John Johanson live at Williamsdale just south of Canberra, and had been breeding quality angora goats for 23 years. Seven years ago we bought our first alpacas to use as guard animals in an effort to keep the foxes at bay and save our kid goats. Within a few months we had fallen in love with these inquisitive, quiet, environmentally friendly animals and now are running around 200 alpacas- and NO goats!! 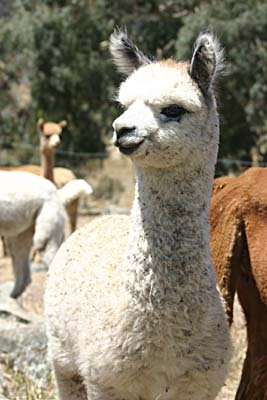 The first decision we made was to breed 'grey' alpacas and we carefully selected our initial purchases based on grey genetics in their breeding. The beautiful creams and apricot colours soon took our fancy as well, and we added light fawn and suri genetics to our herd. Light fawn is a poor descriptor for the wonderful colour range from cream and warm light fawn, to apricot and almost pink or mushroom colour. Ten years later and 430 cria (babies) later, we are totally smitten with these quite, intelligent animals who come running to check what we are doing and make sure we are doing it right. We are delighted that our choice of carefully selected genetics is producing high quality, fine, lustrous coloured fleeces in the colours we, and others, are looking for. We would love to hear from you and show you our beautiful animals. 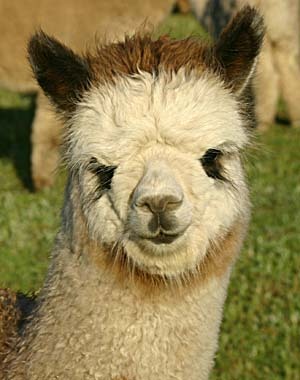 We offer a wide range of alpacas for sale to suit your needs and budget.